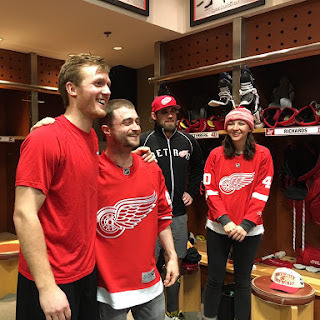 Daniel did spend New Year's Eve with his girlfriend Erin Darke in Detroit attending the Detroit Red Wings ice hockey game at Joe Louis Arena. 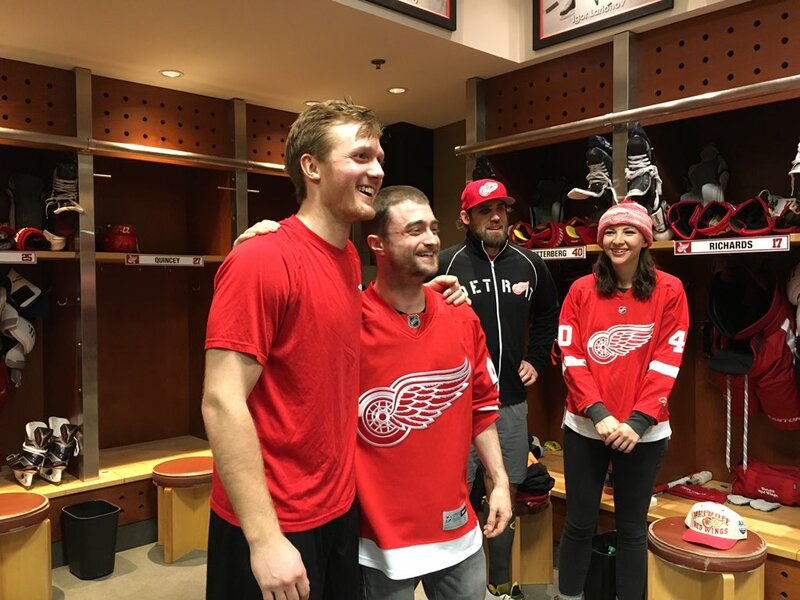 He was already photographed wearing a shirt/hoodie with the Red Wings Logo in 2014 and 2015. 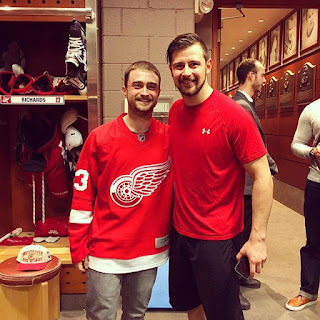 After the game he did spend some time with Tomas Tatar, Gustav Nyquis, Darren Helm and Brendan Smith in their locker room.